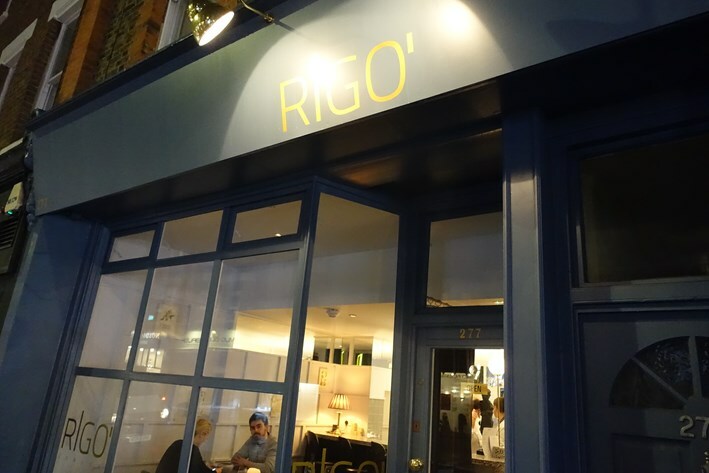 Rigo opened in August 2017 in the Parson’s Green end of Fulham, with head chef Gonzalo Luzarraga, who is originally from Piedmont. 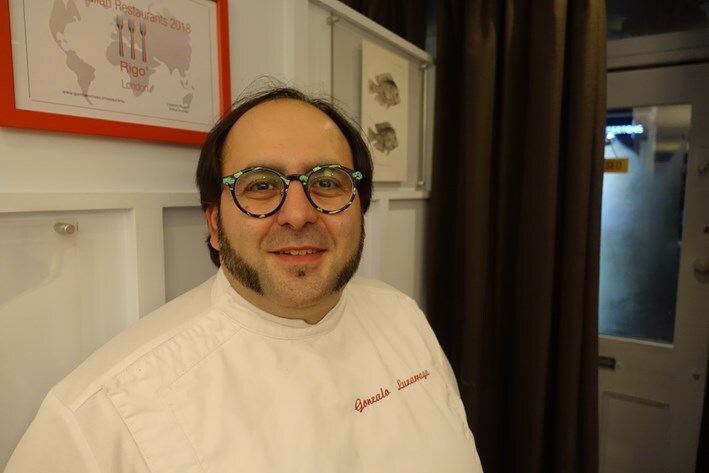 He worked for over three years at Louis XV and from there became head chef of restaurant Flipot, which was situated west of Milan that once had two Michelin stars under chef Walter Eynard. Mr Luxarragalater became head chef at a restaurant called Le Clivie and also worked in Russia before moving to London. 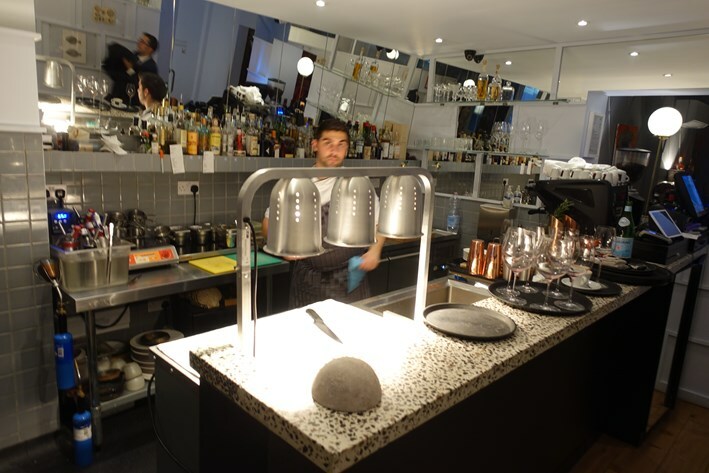 Rigo is on the New Kings Road and has a narrow dining room with a lot of hard surfaces that lead to a fairly noisy environment even on a quiet weekday evening. The chairs are quite uncomfortable and not suited to lingering. The menu had plenty of options and the dishes were quite modern in style, with some exotic ingredients in places. 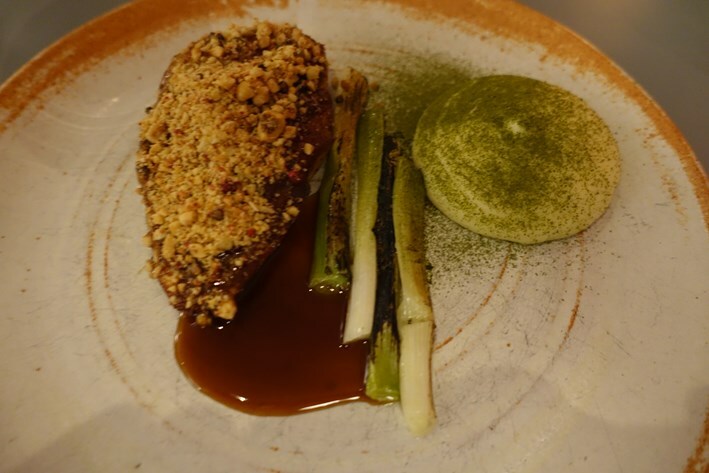 There was a tasting menu at £78, as well as an a la carte menu, and four courses plus snacks at either £55 or £65. Sample wine list references were Tornai Zenit Somlojeno 2016 at £36 for a bottle that you can find in the high street for £8, Franz Haas Gewurtztraminer 2017 at £68 compared to its retail price of £17, and Sergio Mattura Grehetto La Tour a Civitella 2015 at £80 for a wine that will set you back £23 in the high street. For those with the means there was Clos de Veugot Domaine Philippe Cheron 2007 at £270 compared to its retail price of £115, and Tignanello Antinori 2006 at an absurd £360 for a wine whose current market value is £135. This was a very expensive wine list whose markups would raise eyebrows in Mayfair, never mind in Parsons Green. A series of nibbles appeared. 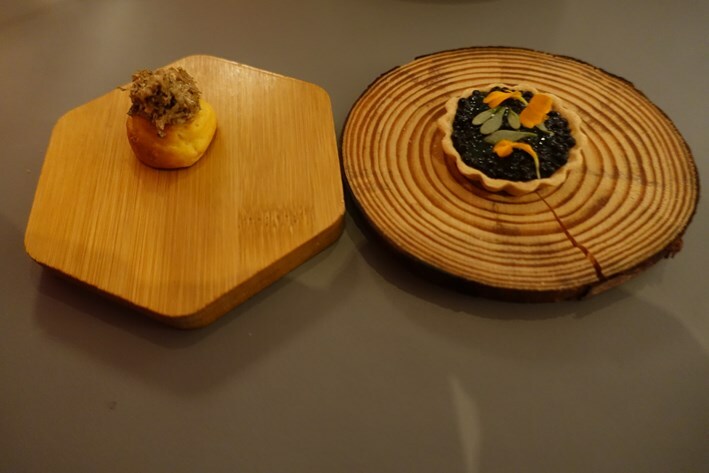 Quail egg with shiso (perilla) had little flavour, though smoked Aringa caviar tartlet was a little better, with a fairly delicate pastry base. 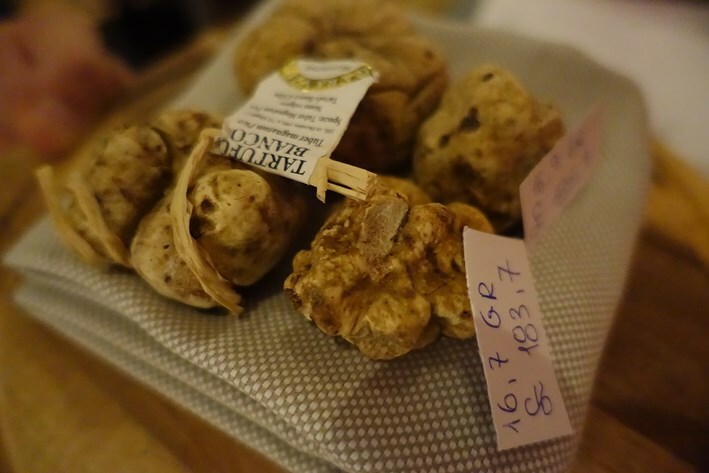 Better was Parmesan beignet with Piedmont cow cheese fondue, and best of all was Parmesan with mortadella (pork sausage from Bologna) and black truffle, and mortadella with pigeon heart and liver pate with toasted cocoa (average 13/20). Bread was made from scratch in the kitchen, a warm sourdough from a ten year-old starter flavoured with mixed cereals. This had lovely texture and excellent flavour (16/20). It was served with Normandy butter with anchovies. 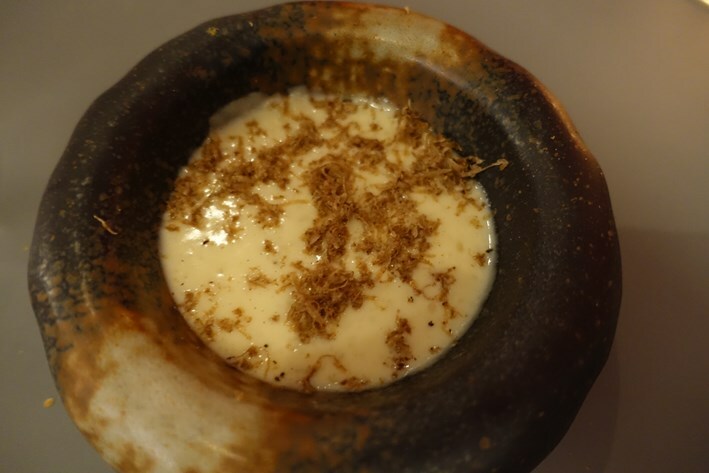 Fried ravioli with cheese fondue and white truffle was a little reminiscent of popcorn and was pleasant if unexceptional (13/20). 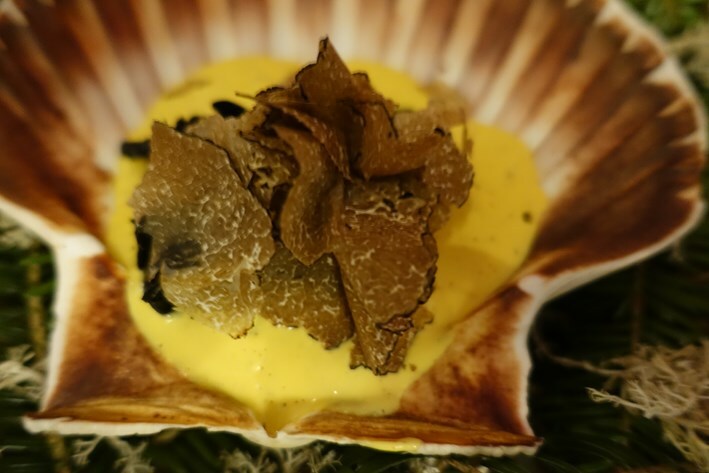 Hand-dived scallop was pan-fried and served in its shell with a miso sabayon, black truffle and savoury zabaglione. The scallop had good inherent sweetness and the miso was made from scratch in the kitchen in a separate fermentation room. This was an unusual dish but the scallop was of high quality and the sauce worked well (15/20). 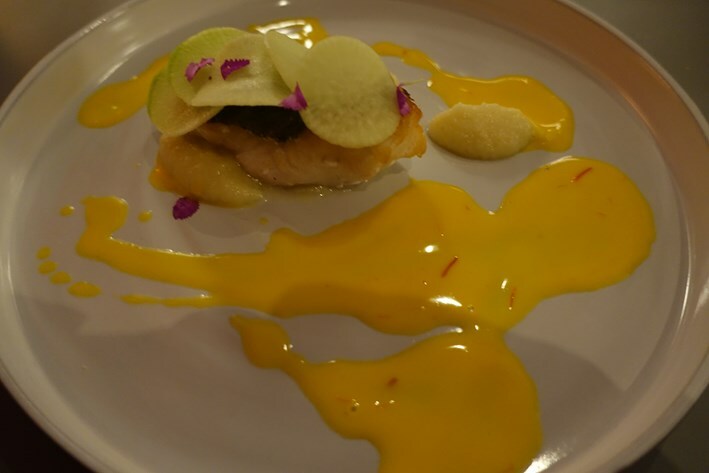 Guinea fowl from France came with onion, potato foam and radish powder. The bird itself was of good quality, though I was unconvinced by the potato foam (14/20). Turbot was from a medium sized 4 kg fish and had good flavour, the fish being nicely cooked. 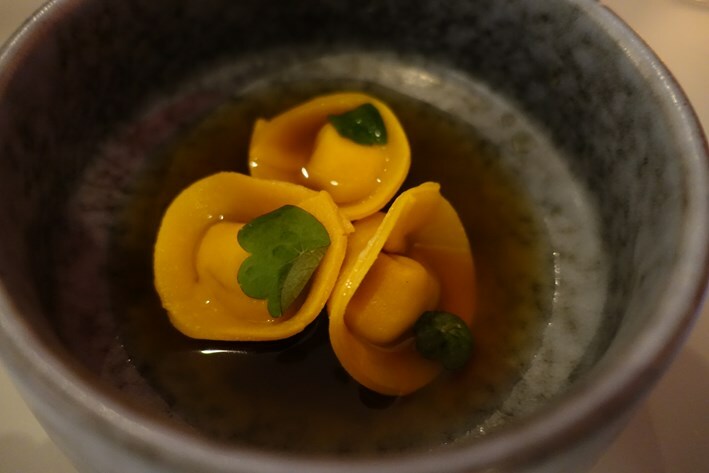 It came with a butter sauce and green radish (14/20). By this time we were very full, so skipped dessert. 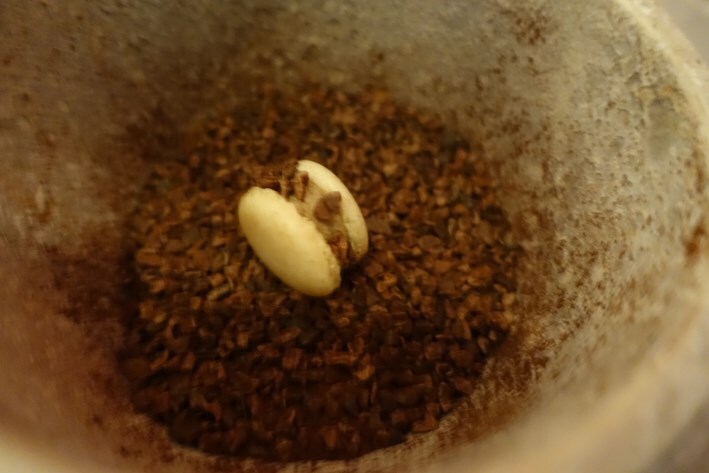 Coffee was a brand called Barbera from Naples, and had good flavour. Service was attentive, and the bill came to £117 per head. If you ordered the minimum number of courses and could find a good value cheaper wine then a typical cost per person might be £85. Overall this was quite an intriguing meal, with some genuinely classy dishes but also some quite ordinary nibbles. 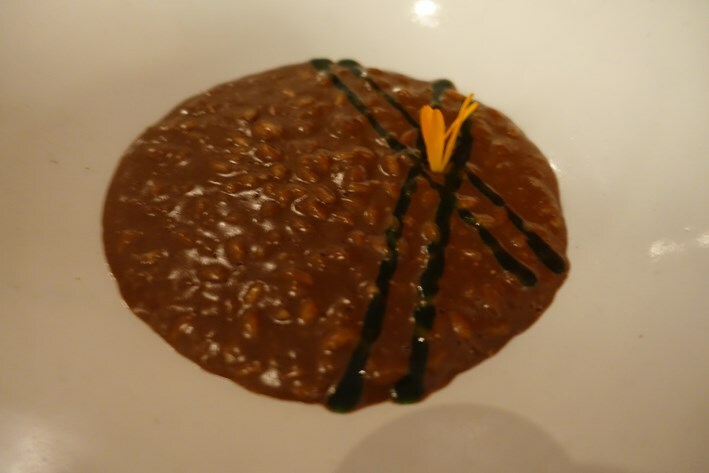 The pasta and risotto suggested a kitchen that could operate at a high level. I found the menu quite tricky to navigate, with a lot of fancy concotions that went for complexity when simplicity might have been a better bet. I would like to have tried some simpler dishes from this chef, as I suspect that he could produce (say) some gorgeous pasta ragu, but chooses not to. 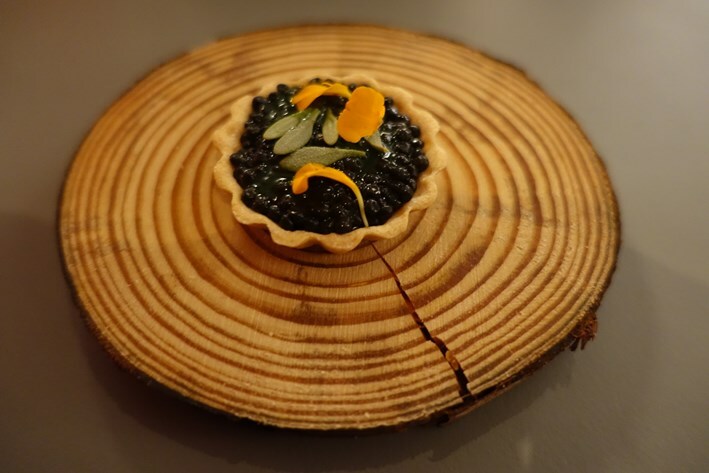 I suspect that many customers would find a simper menu more appealing, but the chef certainly has some talent and he seems keen to dance to the beat of a different drum.